A new baby on the way is an exciting time for any parent-to-be. Whilst they may be a bit nervous about what's to come, it’s news they want to share with friends and family. Whether the parents-to-be are organising the shower themselves, or the task is being delegated to a close friend, here are some baby shower themes and ideas to consider. 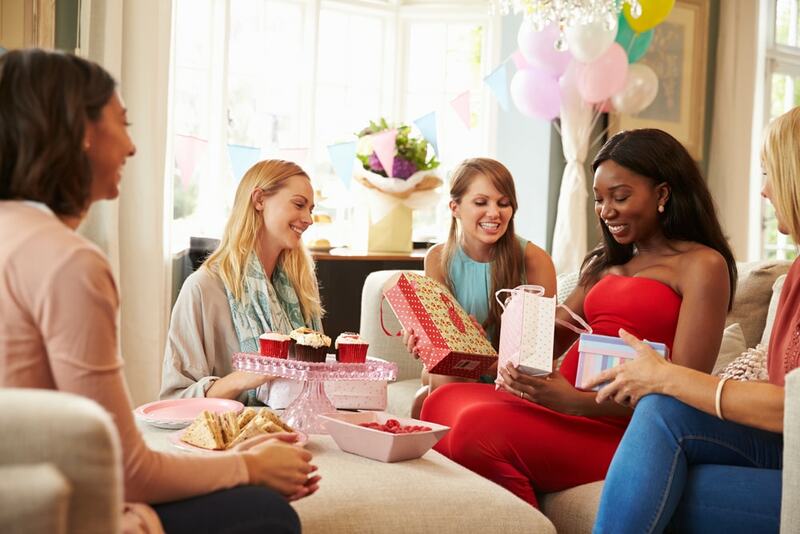 The giving of gifts can be both rewarding and stressful but are always necessary when attending a baby shower. Many guests will buy gifts that are suitable for a newborn, which is always a great idea. However, it's a nice change when a couple of gift-givers think ahead and buy a gift for the child to use when they are one - two years old. Things like bouncers, walkers, books, and mobiles that can be used down the track are excellent ideas. Baby’s grow quickly so it means the parents can be sorted for the next year or two as opposed to just the next couple of months. Don’t be afraid to stray from traditional baby shower celebrations. If you love getting pampered then gather your closest loved ones and treat yourselves to a day at the spa. If you prefer the outdoors then a waterside picnic may be the way to go. Perhaps you want an intimate dinner at your favourite restaurant or a big backyard bbq. For something totally different activities like Cowch tasting tables, or private pottery classes could be a fun way to go. Just gather the people you loved most and book yourself into a new activity. The options are endless, it’s your special moment to celebrate it the way you want. Everybody loves food, it's usually the not-so-secret highlight of any event. No matter how you decide to celebrate your baby shower don’t leave the menu until the last minute. Choose well-loved and easy to prepare foods that will keep everyone happy. Pick a range of hot and cold and sweet and savoury treats and then you’ll have something for everyone. Or another option could be to get catering from unique venues like Cowch. Have a treat station organised as a sweet surprise for the mum-to-be and her guests. To make your baby shower stand out consider having a unique baby shower theme. If you want something girly then Alice in Wonderland, Garden Party, or Breakfast at Tiffany's are all great ideas. Another idea could be a carnival themed with mini circus games for kids, hot dogs, cotton candy, colourful flags and live music. Party favours are a fond and distant memory of our beloved childhoods, so why not bring them back. Treat your guests to party favours. Kids party favours are easy to do, pop in some mini bubbles, chocolate and small toys and they'll be entertained for hours. For the adults, the bags can be filled with anything, whether that be luxe products like lotion and candles, or mini wines and personalized beer stubbies. You know your guests, so treat them with a little gift to say thanks for their love and support.